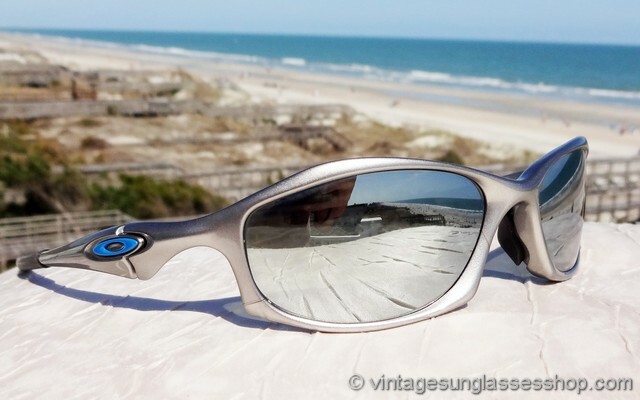 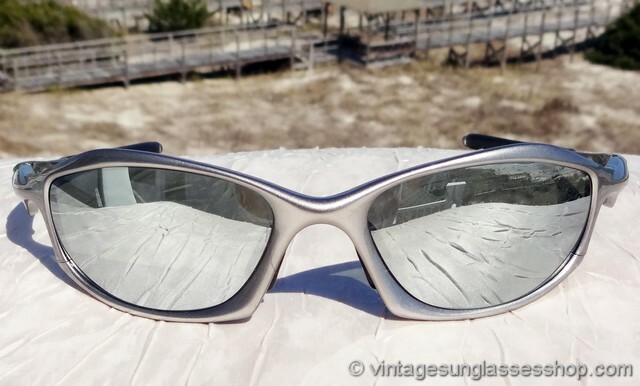 1 Vintage Oakley Hatchet sunglasses c 2003 feature the revolutionary O-luminum frame which is 40% lighter than pure titanium, giving these vintage Oakley Hatchet sunglasses a finished weight of just over one ounce. 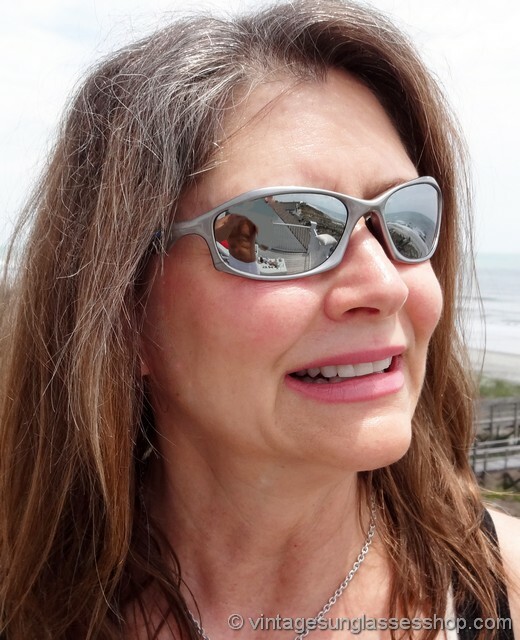 Machined with tolerances of one thousandth of an inch, the Oakley Hatchet design features contours and distinctive linear ear stems with sculpturally integrated hinges, custom engineered with spring mechanisms for a comfortable fit. 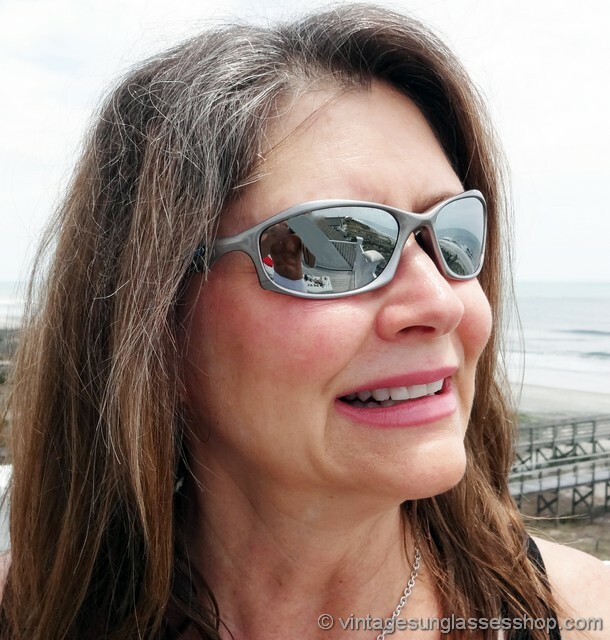 The Unobtainium ear and nose pads increase grip to help deal with perspiration, making the Hatchet a favorite with well known athletes of this period. 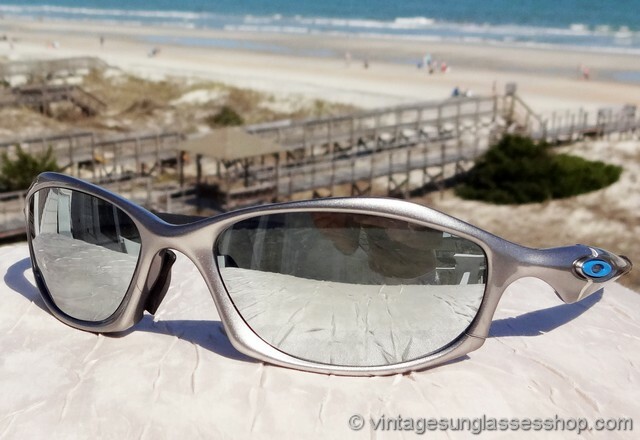 The unisex Oakley Hatchet frame measures approximately 5.75" temple to temple, and the Chrome Iridium mirrored lenses measure approximately 2.25" x 1.25" at the widest points. 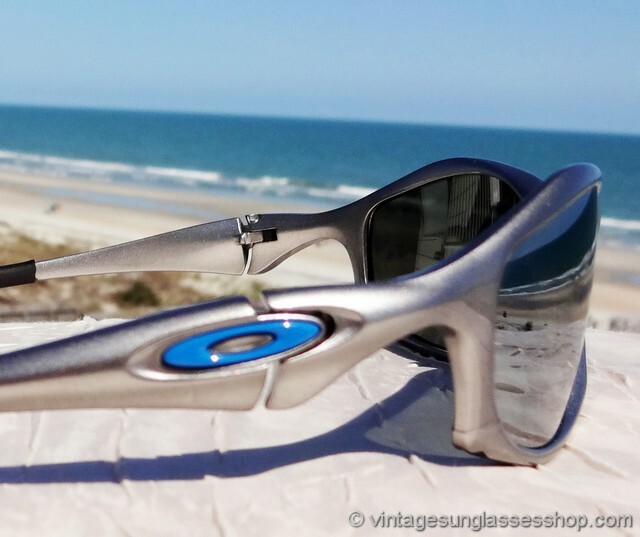 You'll find the Oakley O logo embossed in blue on the exterior of both ear stems, part of a fine collection of vintage Oakley sunglasses in Dallas, TX. 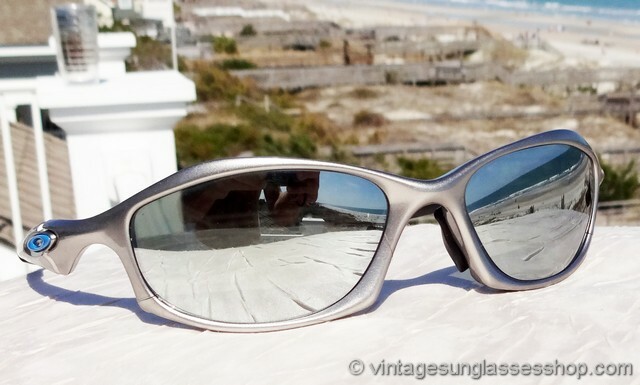 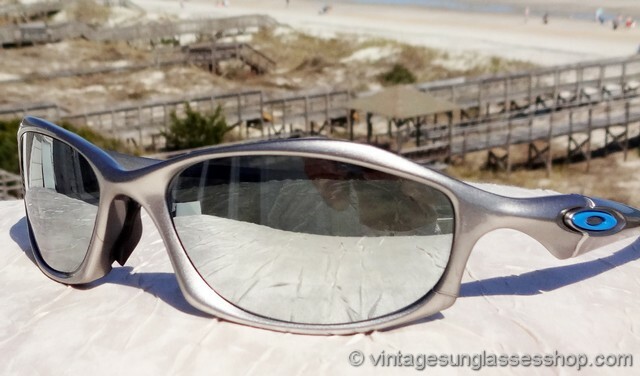 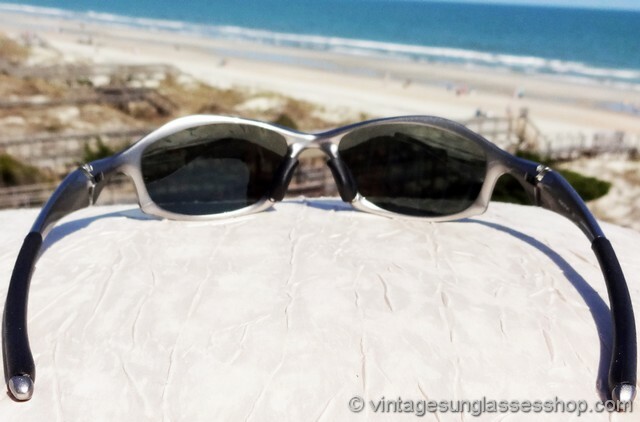 2 Step up another level beyond our already unequaled vintage condition standards with new old stock Oakley Hatchet sunglasses in mint, unworn condition. 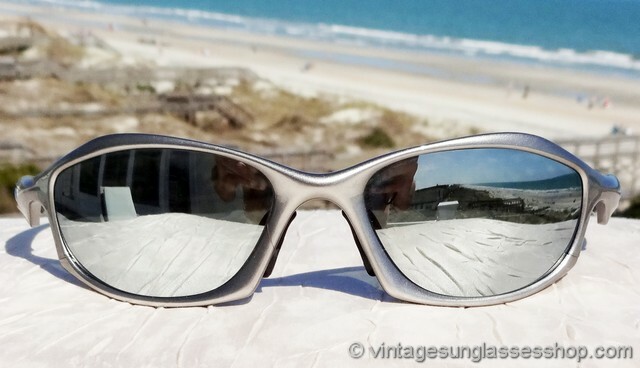 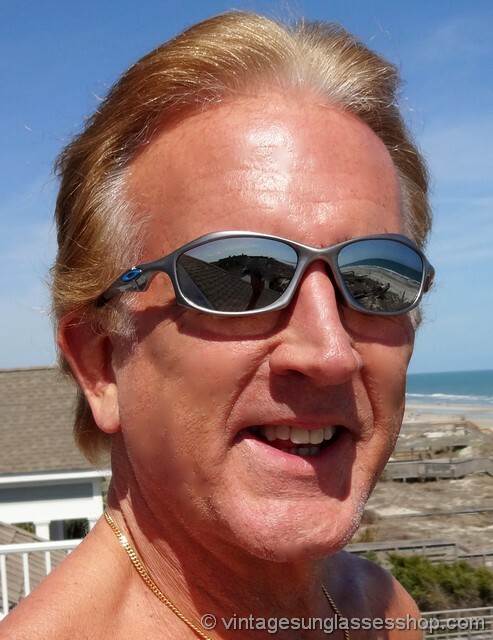 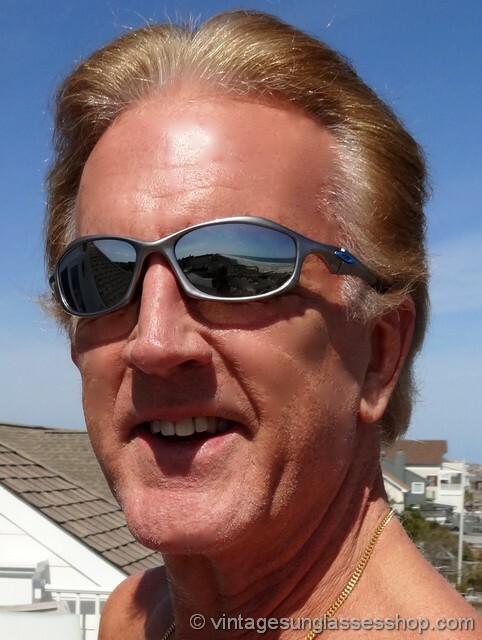 We buy finer vintage designer sunglasses that meet our standards; learn how to sell your vintage sunglasses at better prices than auctions and with no fees, hassles, or uncertainties.